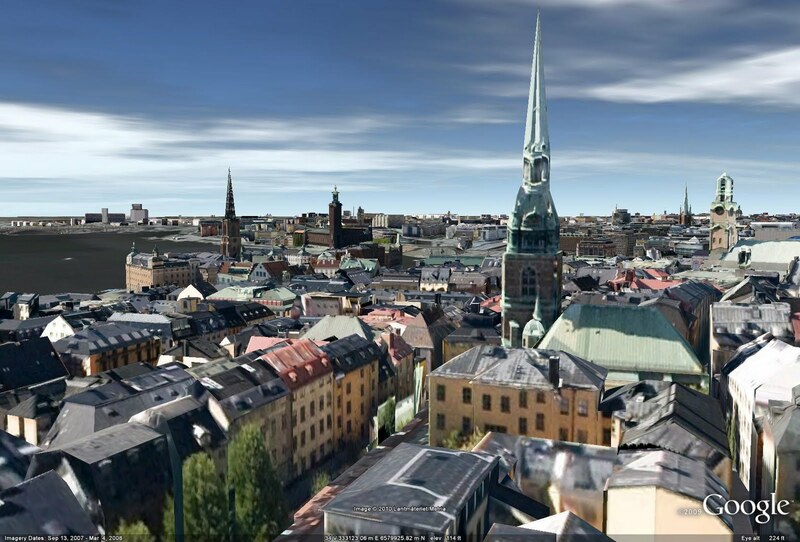 Stockholm is a unique geographic location - filled with historic bridges, buildings, and parks. The rich architectural history make it a fulfilling destination for the virtual tourist. The city's oldest section is "Gamla Stan"(The Old City). It's located on the original small islands of the city's earliest settlements and features cobbled streets and medieval alleyways. 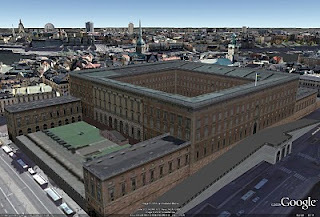 And if time is short, make sure you fly over to The Royal Palace, the official residence of His Majesty The King. 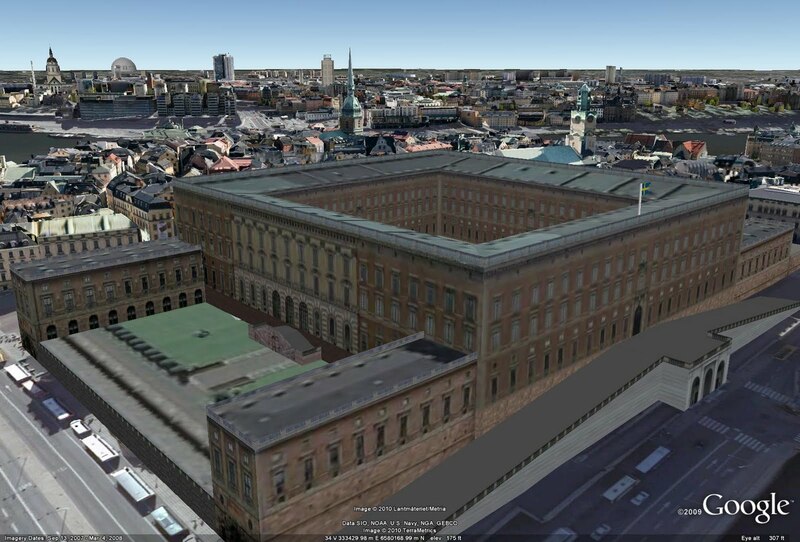 Explore Stockholm in 3D with Google Earth and now with Earth view in Google Maps. Magnificent as ever - and a vast amount of work. 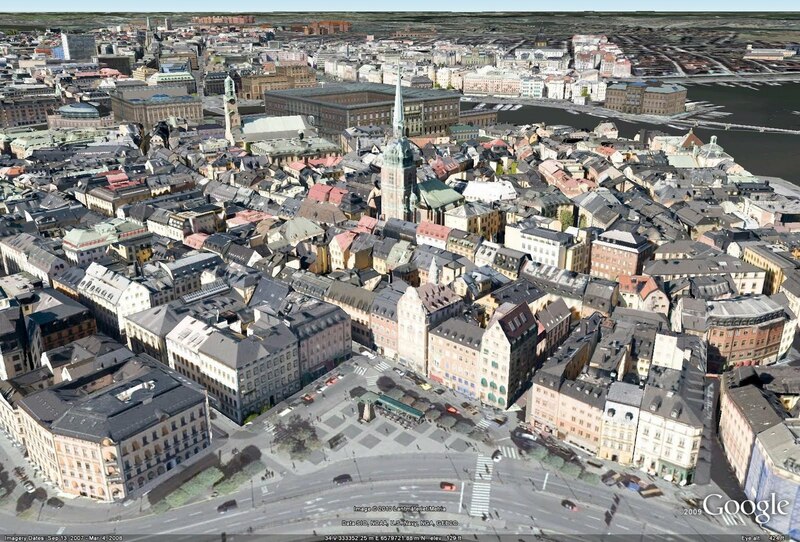 The onion dome on top of Stockholm Town Hall would have been interesting to make.